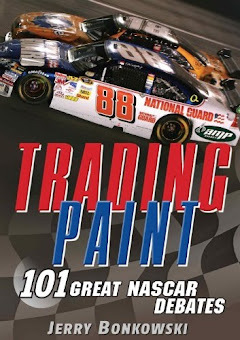 One of the offshoots of NASCAR's "Boys, have at it!" almost-everything-goes mandate of sorts has been an increased penchant for trash talking between drivers and teams. After far too many years of politically correctness, being afraid to say the wrong thing for fear of ticking off a sponsor or team owner or Brian France, the gloves have come off big-time. And I, for one, am loving it! Now, mind you, NASCAR drivers still have a long way to match the trash-talking prowess of such luminaries of that particular art – like the NBA's Michael Jordan, who was one the best practitioners during his career – but some of the things we are hearing and seeing of late have certainly started to make even non-NASCAR fans sit up and take notice. When Kurt Busch says he's "getting into Jimmie's (Johnson) head," and then Johnson essentially tells Busch to "bring it on," this is NASCAR in true reality, totally unscripted, unedited and, most importantly, uncontrolled by the sanctioning body. We are finally seeing the "real" Kurt, Jimmie, Tony and others. A large part of the reason for the sudden change and the increase in outspokenness can be tied to the run-up to this year's Chase for the Sprint Cup. Over the past six races or so, the pressure kept building and building, perhaps more so this season than in recent season's past.